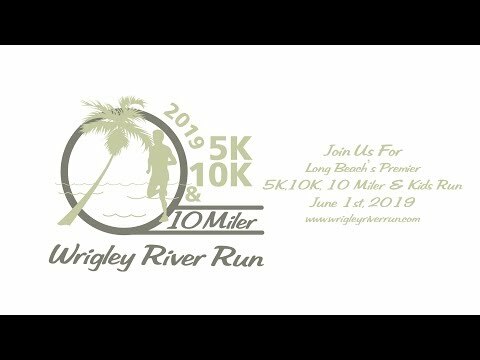 Long Beach’s Premier 5/10k, the 12th Annual Wrigley River Run on June 1, 2019. Run, walk, or stroll in the 5K, 10K or 10 miler and join in with neighbors, friends, and family members to celebrate a healthy lifestyle and support a great cause. Enjoy our start/finish line expo with live entertainment, plenty of beverages, fruit, and bagels for refueling as well as Long Beach's best pizza provided by Buono's Pizzeria. Bring the kids and for only $5 they will get a medal and food at the finish after running in the streets for our 1K. The first 300 get shirts too! I had a great time! Very well organized. Only problem was that they ran out of 5k finisher medals and so I had to get a 10k medal. No biggie, but I would have preferred the medal I really earned. I definitely will do it again next year. Yvonne W. has run 1 times 0/0 found this review helpful. View all Annual Wrigley River Run and Tadpole Trot reviews. Based on a 5 year average and a race date of June 1st, Long Beach, CA can expect temperatures between 70℉ and 85℉ with humidity around 80% and precipitation of 0.16". Raceentry.com also cannot attest to the validity of individual Annual Wrigley River Run and Tadpole Trot reviews. All of the information about the race has either been supplied by the event staff or can be modified at any time by their race management. 2019 Annual Wrigley River Run and Tadpole Trot registration details are only as accurate as the event has made them.